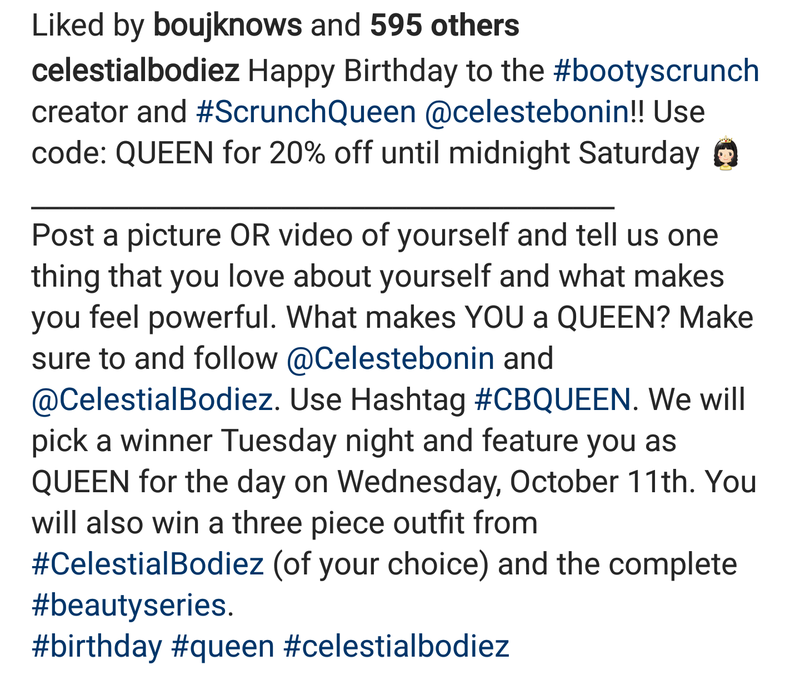 I got inspired to write this post after reading a post from Celeste Bonin business page celestial bodiez, on a birthday post for Celeste. So I wrote a little something on Instagram with a picture I had saved, one of those selfies you just take on a good camera day and wait to post, you know the ones. And I got thinking even more. What makes you feel powerful ? That could have about 5,000 different answers from 5,000 different people. I bet its probably not the money you have or the social status. Its probably as simple as getting the laundry done when you have four kids. Or taking a solo shower and putting make up on when you have a new born. You could feel powerful making a dinner that everyone liked, it could be setting someone straight when you’ve been biting your tongue for months. It could be listening to your favorite song, or your favorite sports team winning. It could be NOT saying something to someone because you know they’d just feed off the negativity. ANYTHING can make a person feel powerful. And whats even better? Feeling powerful even if someone questions it. Standing your ground when someone tries to tear you down or drown you in their own personal negative bubble. I have been surrounded by negativity my entire life. It feel like I can’t get away from it. Whether its family, or friends or ex boyfriends it seems like its always there, and I doubt I’m alone in that thought. I have an incredible case of anxiety over everything! And its incredibly hard to live with. but on my good days? I feel powerful and honestly sometimes I feel powerful on my bad days because regardless of how tired I am from fighting I’m still fighting. I have cut many toxic people out of my life in the last two years and to shock you, most of those people were family. But it didnt feel like family with all the negativity, all the feelings of suffocation, and walking on eggshells. I know families hard, and families fight and family’s dont get along, but all my mess? This was different. This was toxic. And you might think I’m sad about it? And many deep down I still am, deep down I’m definitely still angry but on the surface and deep down I promise you I’m better off for having left it all behind. Starting over isn’t easy, and in these last few years that’s exactly what I’ve done, I’ve started over. It was hard, it was grueling. I had more breakdowns than I could keep track of, I realized who would ALWAYS stand by me and who I didn’t miss when they weren’t there in my time of struggle. I realized who was there on the ground with me and who stood and judged above me. And Realizing that, made me feel powerful. And maybe even more importantly I realized how much stronger I was than I realized. With anxiety you always think you’re weak. And there’s been a million times where I wasn’t sure if I could get back up.. But you know what? I did. I got back up and i kept pushing. And then I’d fall back down and I’d get back up AGAIN. I’m a completely different person than I was two years ago and let me tell you I like this person a hell of a lot more, anxiety issues and all. This person has less friends, less texts, less nights out, but this person has self respect, this person has acceptance, and this person has who she needs no matter how small that list might now be. My life is still a mess, there’s still some toxic I can’t break out of just yet, there’s still some anger, some sadness now and again. But I think that all comes with getting stronger. I think that everyone goes through a phase where they truly find themselves. I’m not where I want to be yet, I’m not overjoyed with my life, but I’m happy with who I’ve become. I’m Happy that I’ve embraced who I am, I’m happy that I’ve realized it doesn’t matter if anyone else understands the quirky things that make you happy because all that matters is that it makes ME happy. I feel powerful when I keep moving forward, when I get back up every time I fall down, when I continue to enjoy something that others don’t understand. When I stand up for what I believe in, even when everyone else seems to be telling me that I’m wrong. I’m powerful because, for the most part I know who I am now. Both the good and the bad. I’m powerful because I am me, I am my own kind of queen. Celestial Bodiez post really got my mind twirling. And as I wrote this, I felt powerful. And why? Because I was ready to write it. To put something personal, like my family issues and anxiety out there. It’s scary, but powerful in the choice to do that. What makes you powerful? Share with me! in the comments or my social media. Previous Post Natalya vs Charlotte: Making History. Next Post Book Review: Family Don’t End With Blood.